On Jan. 1, 2011, the first of the 78 million baby boomers turned 65. Since then another 10,000 boomers a day will reportedly reach that milestone between now and 2030. 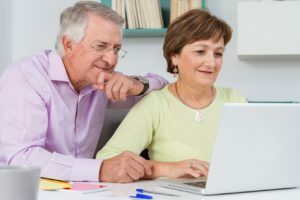 In addition, Medicare Supplement policies offer additional coverage to individuals enrolled in Parts A and B.
Medicare enrollment begins three months before you turn 65 and continues for 7 months after. If you are currently receiving Social Security benefits, you don’t need to do anything. You will be automatically enrolled in Medicare Parts A and B effective the month you turn 65. However, if you do not receive Social Security benefits, then you will need to sign up for Medicare by calling the Social Security Administration at 800-772-1213 or online at http://www.socialsecurity.gov/medicareonly/. It is best to do it as early as possible so your coverage begins as soon as you turn 65. If you are still working and have an employer or union group health insurance plan, you probably won’t need to sign up for Medicare Part B right away. But, you will need to find out from your employer whether the employer’s plan is the primary insurer. If Medicare, rather than the employer’s plan, is the primary insurer, then you will still need to sign up for Part B. Even if you aren’t going to sign up for Part B, you should still enroll in Medicare Part A, which may help pay some of the costs not covered by your group health plan. Remember, we can also help you with this. If you don’t have an employer or union group health insurance plan, or that plan is secondary to Medicare, it is extremely important to sign up for Medicare Part B during your initial enrollment period. COBRA coverage, retiree coverage or VA benefits do not count as a health insurance plan for Medicare purposes. Just because you have some type of health insurance doesn’t mean you don’t have to sign up for Medicare Part B. The health insurance must be from an employer where you actively work, and even then, if the employer has fewer than 20 employees, you will likely have to sign up for Part B. If you do not sign up for Part B right away, then you will be subject to a penalty. Your Medicare Part B premium may go up 10 percent for each 12-month period that you could have had Medicare Part B, but did not take it. In addition, you will have to wait for the general enrollment period to enroll. The general enrollment period usually runs between January 1 and March 31 of each year. With all the deductibles, co–payments and coverage exclusions, Medicare pays for only about half of your medical costs. Much of the balance not covered by Medicare can be covered by purchasing a so-called Medicare Supplement insurance policy from a private insurer. We can help you find the plan that fits your needs the best. Medicare also offers Medicare Part C (also called Medicare Advantage). You must be enrolled in Medicare Parts A and B to join a Medicare Advantage plan, the name for private health plans that operate under the Medicare program. If you join a Medicare Advantage Plan, the plan will provide all of your Part A and Part B coverage, and it may offer extra coverage, such as vision, hearing, dental, and/or health and wellness programs. Most such plans include Medicare prescription drug coverage. Finally, Medicare offers prescription drug coverage under Medicare Part D. For every month you delay enrollment past the initial enrollment period, your Medicare Part D premium will increase at least 1 percent. You are exempt from these penalties if you did not enroll because you had drug coverage from a private insurer, such as through a retirement plan, at least as good as Medicare’s. This is called “creditable coverage.” Your insurer should let you know if their coverage will be considered creditable. Visit the Medicare Web to find a drug plan in your area. After you’ve signed up for Medicare Part B, you can schedule a free “Welcome to Medicare” exam with your doctor. For additional information about Medicare, try these resources and, of course, give us a call.